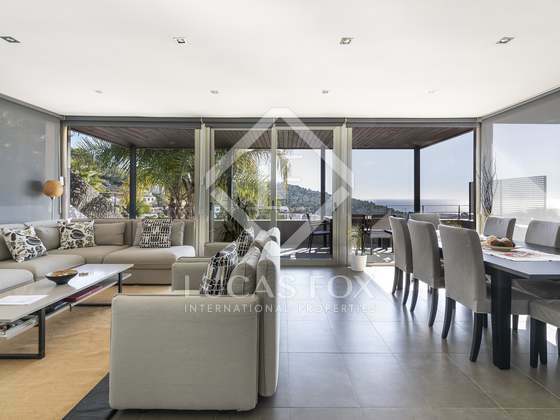 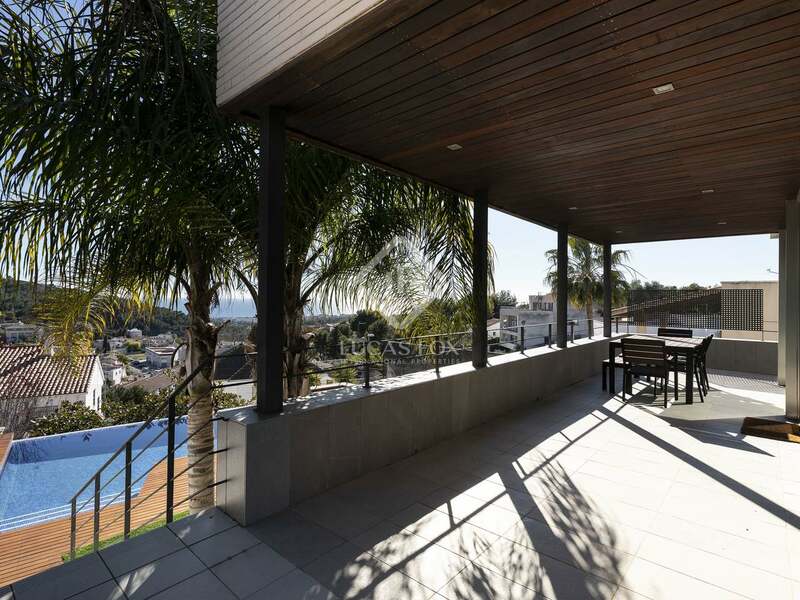 This villa stands out for its striking contemporary design and stunning sea views. 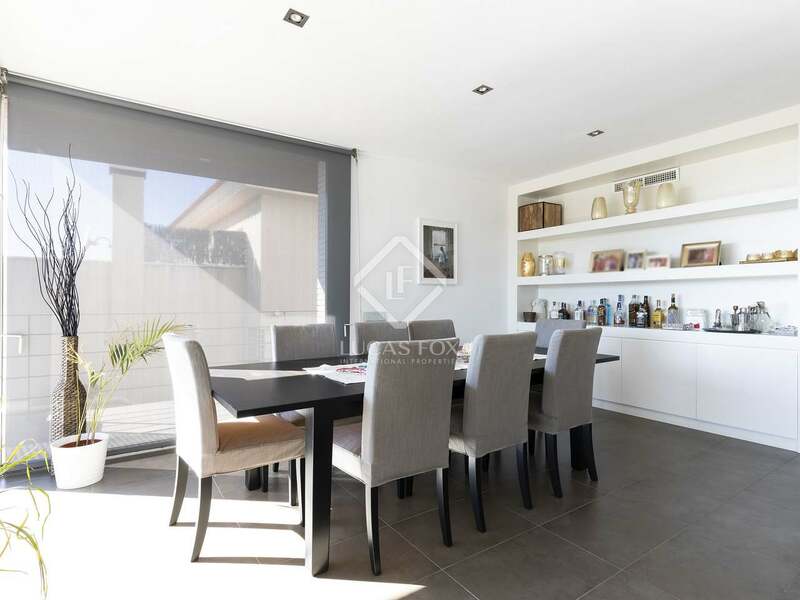 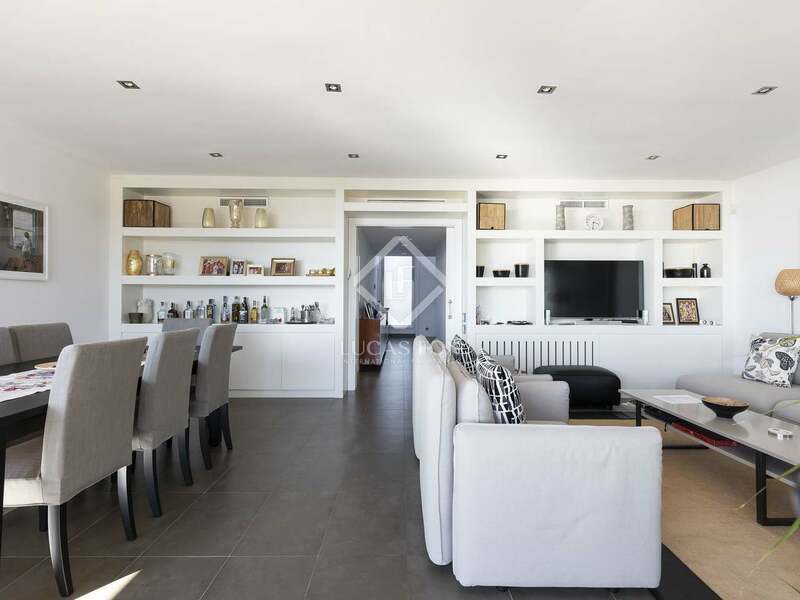 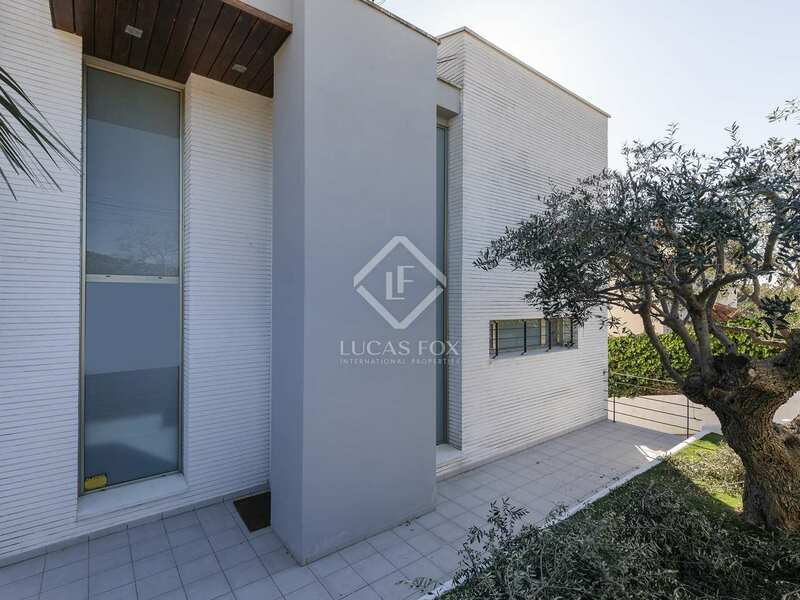 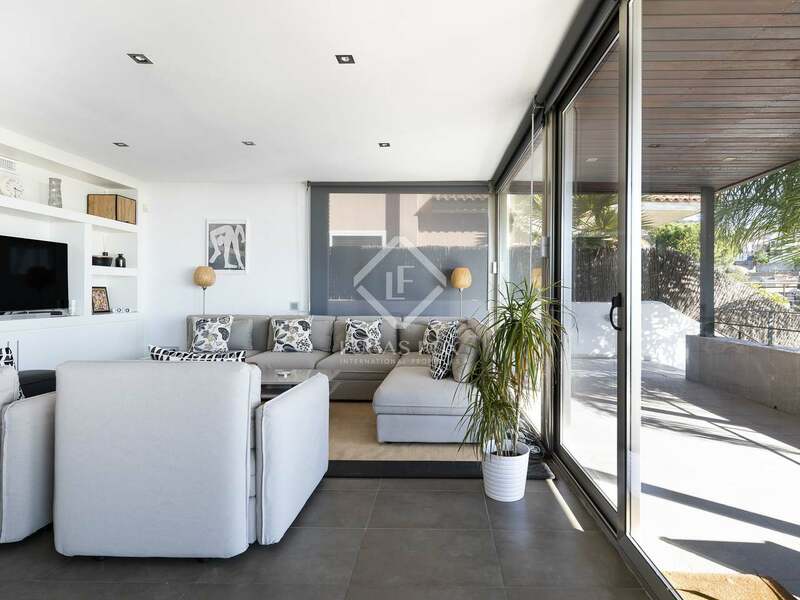 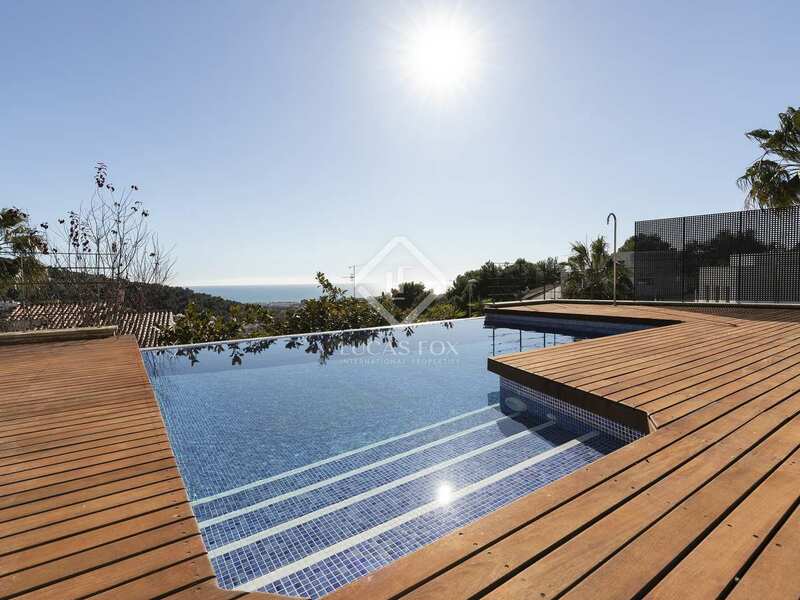 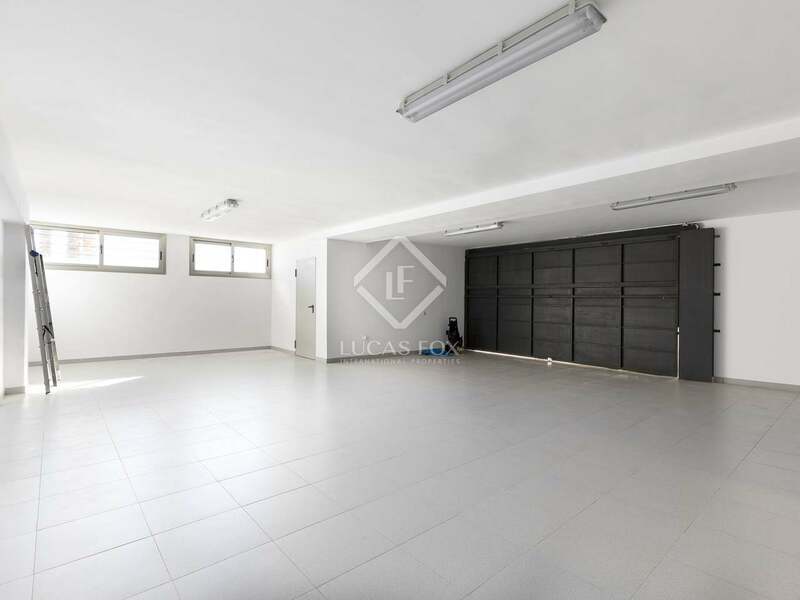 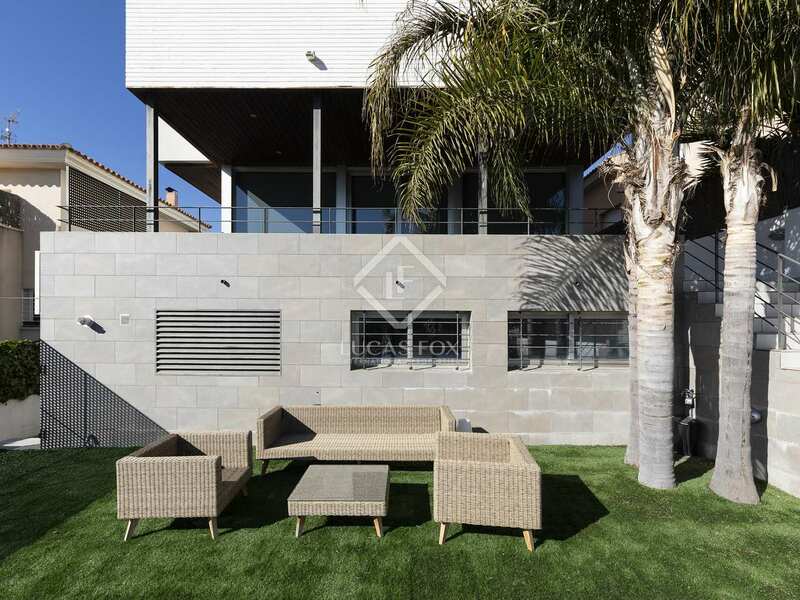 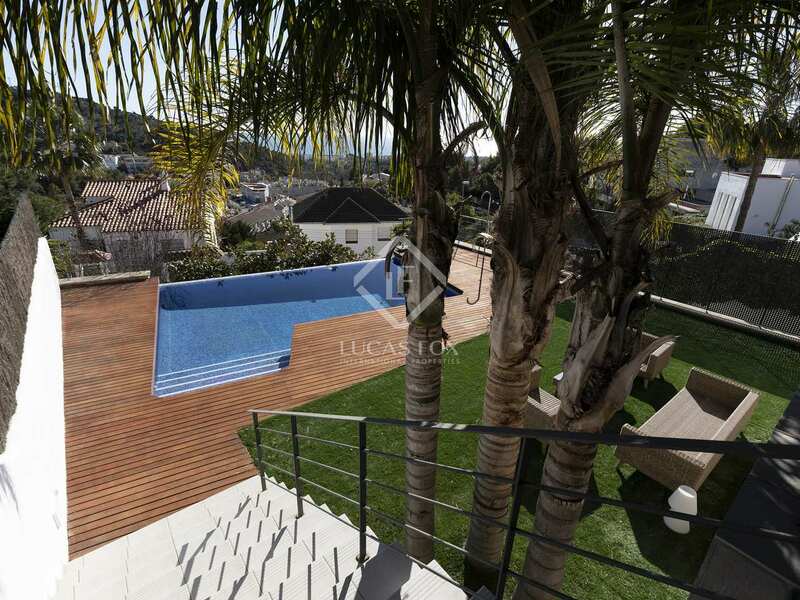 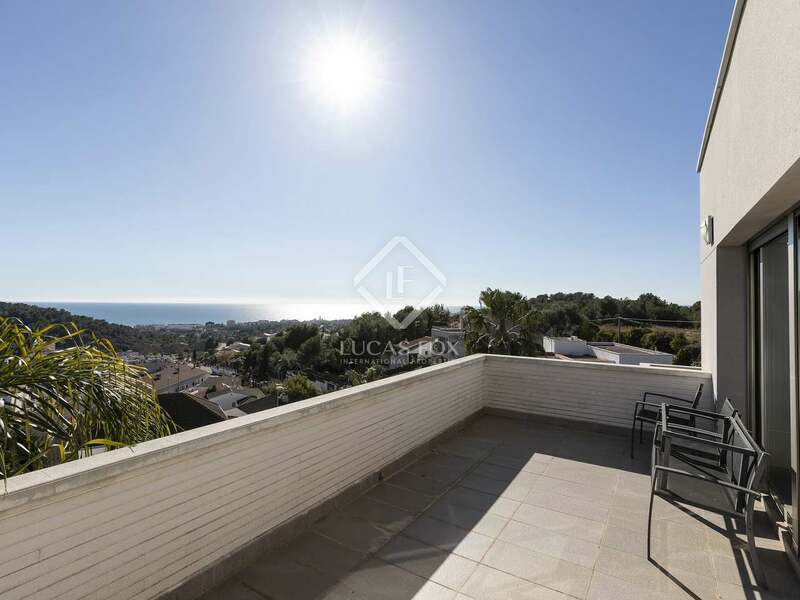 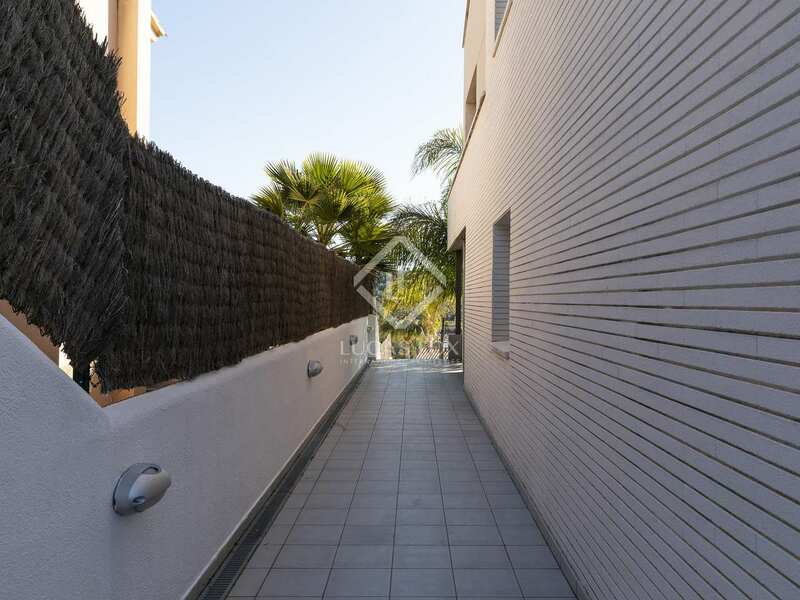 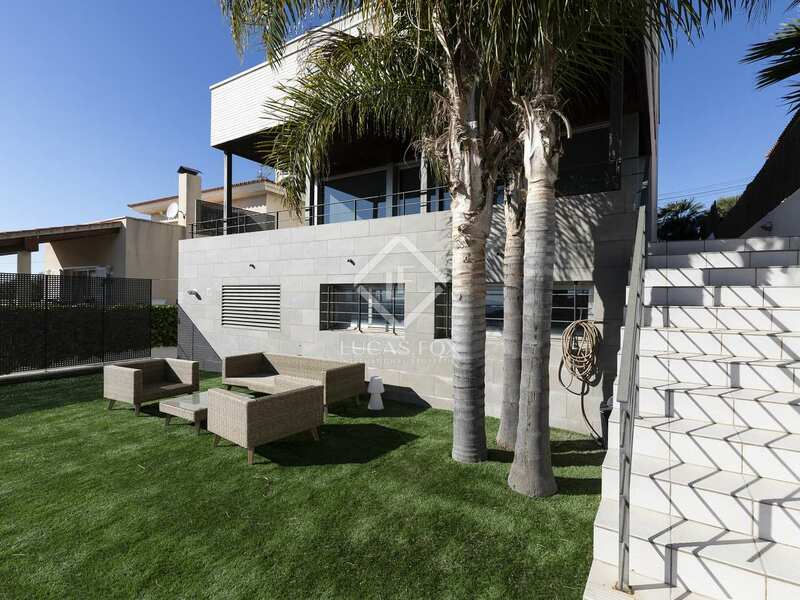 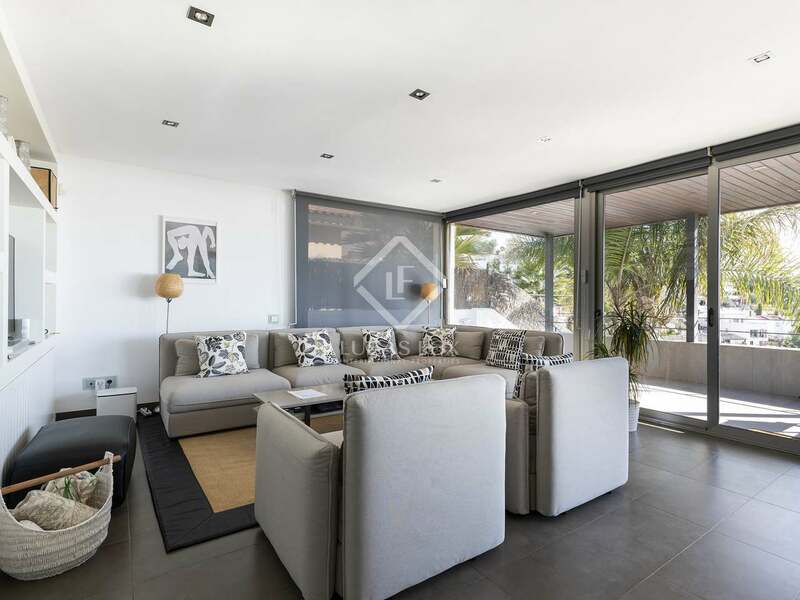 Just a 5-minute drive from the centre of Sitges, the property would make an ideal family home in Quintmar, a peaceful residential area in the hills surrounding this charming seaside town. 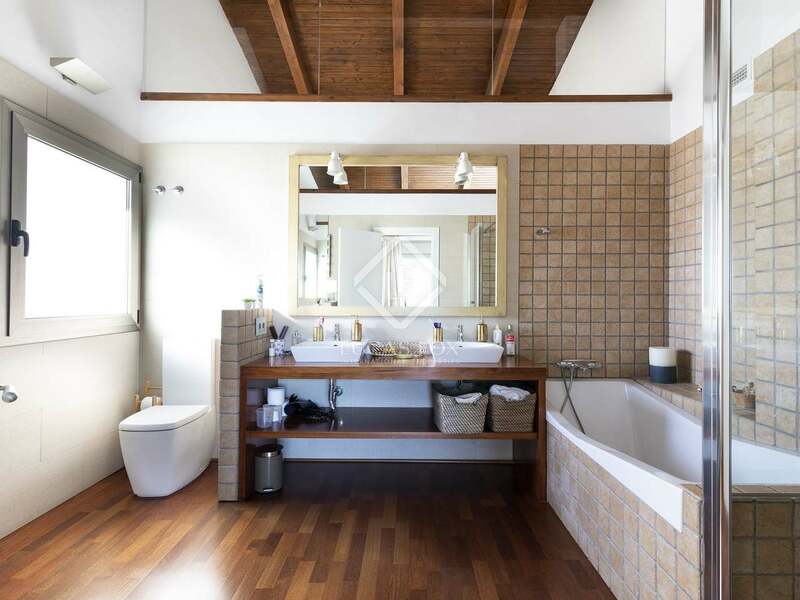 On the ground floor, a large entrance hall with double height ceilings leads to a guest bathroom on the right and, on the left, a bedroom or office space. 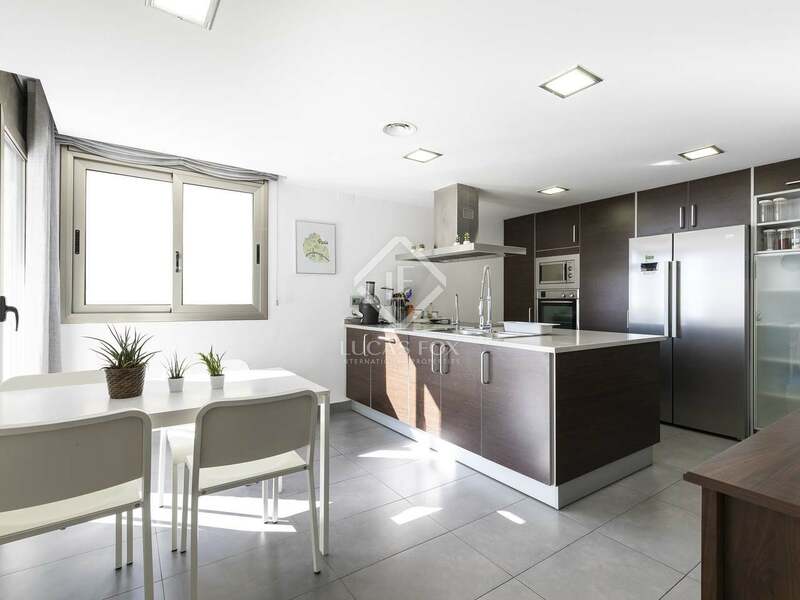 The modern kitchen has a central island, induction hob and large American fridge whilst the spacious living-dining area has windows on all 4 sides offering exceptional sea views. This living space opens onto a large, covered terrace; the ideal space for dining outdoors. 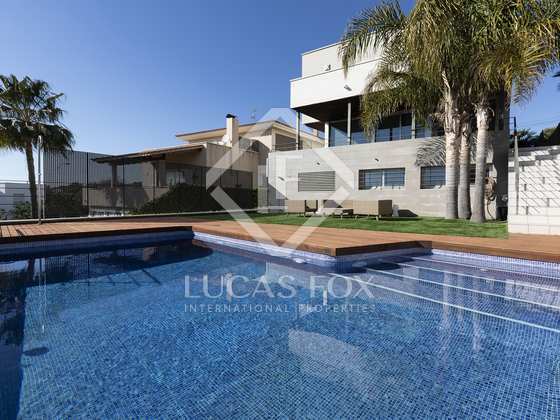 Steps lead down to the impressive infinity pool surrounded by decking and a lawn. 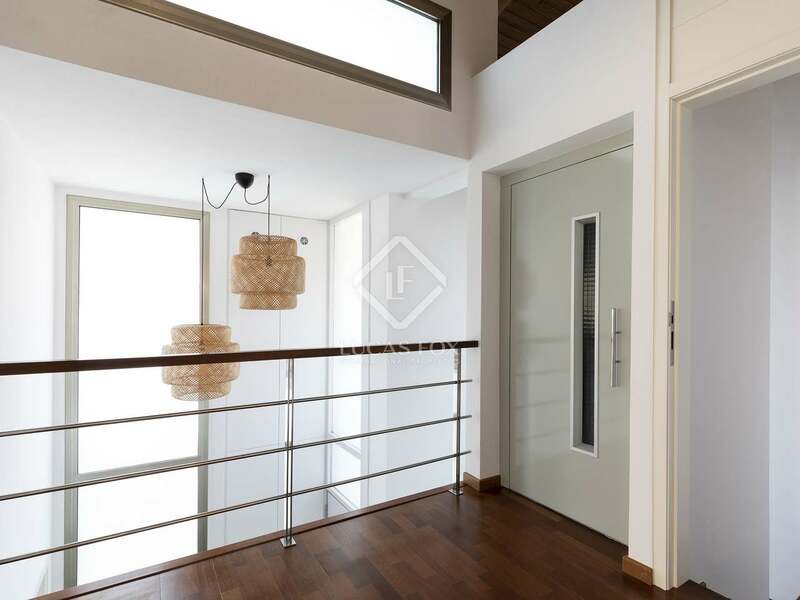 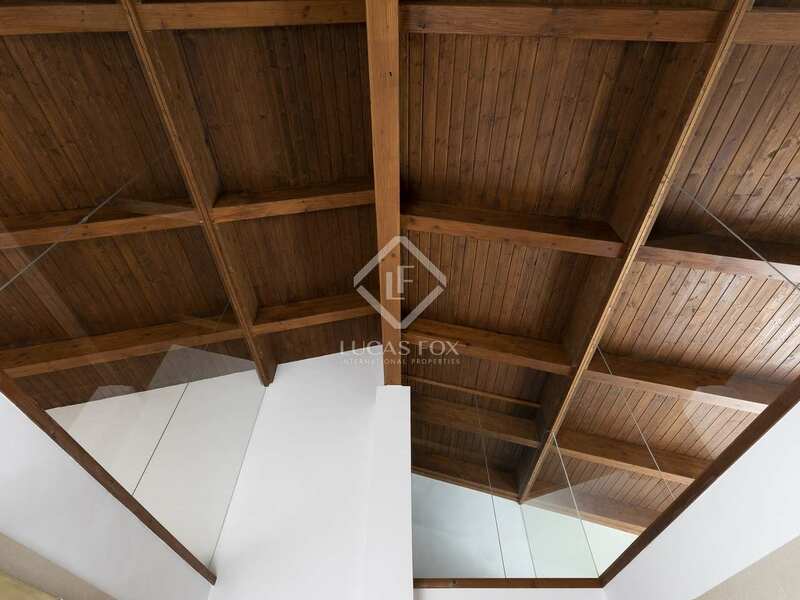 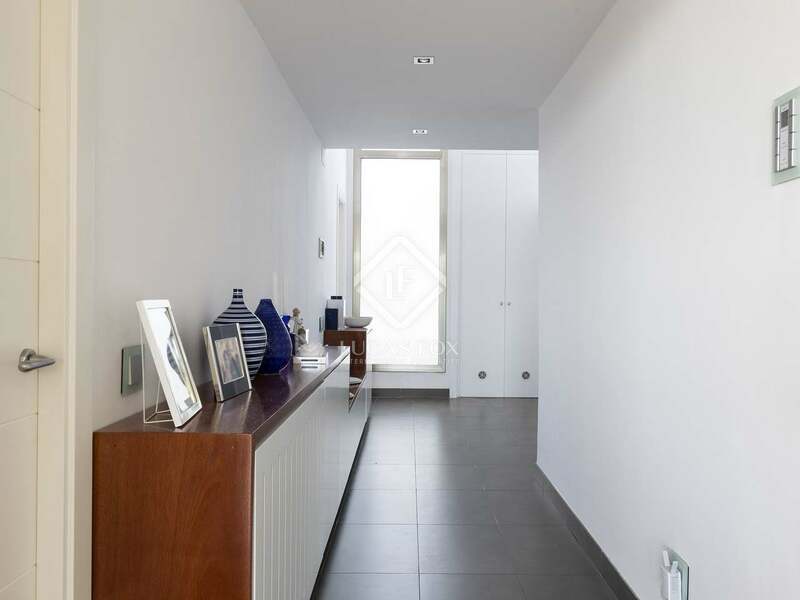 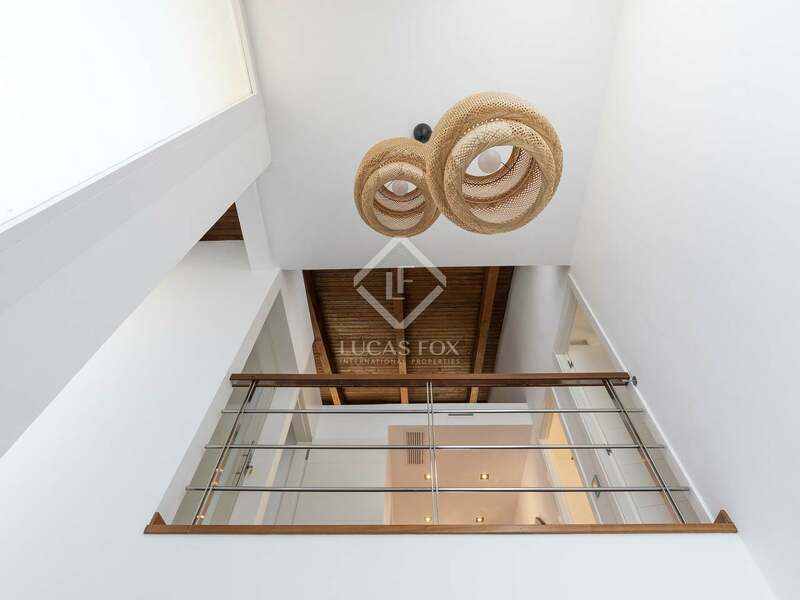 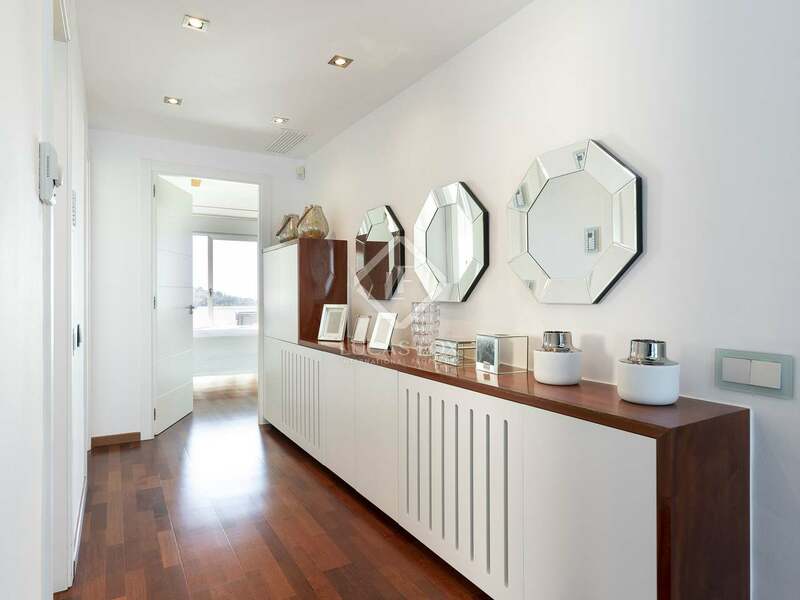 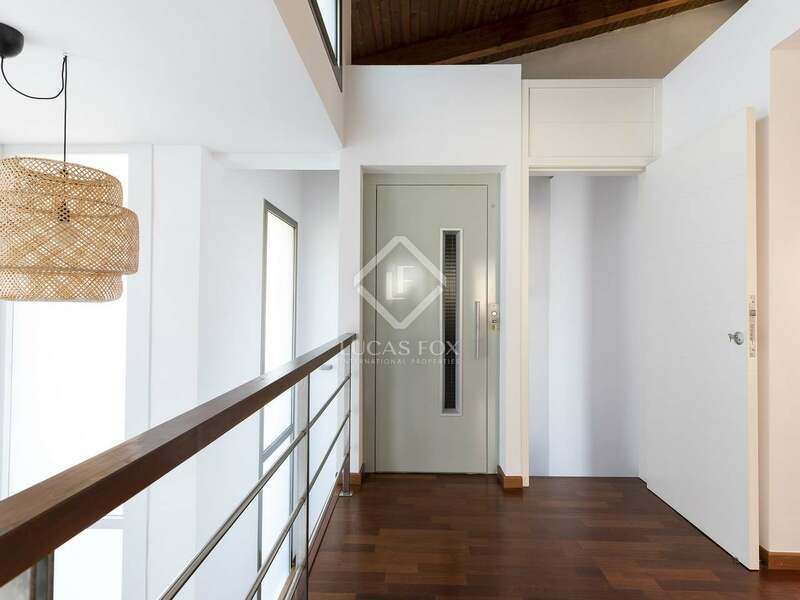 A wooden staircase and a lift lead up to the first floor which boasts solid wood flooring. 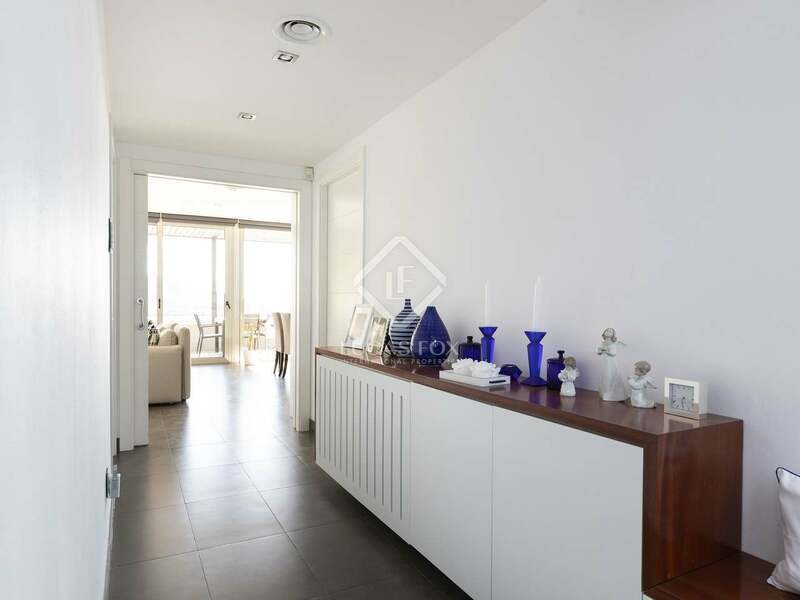 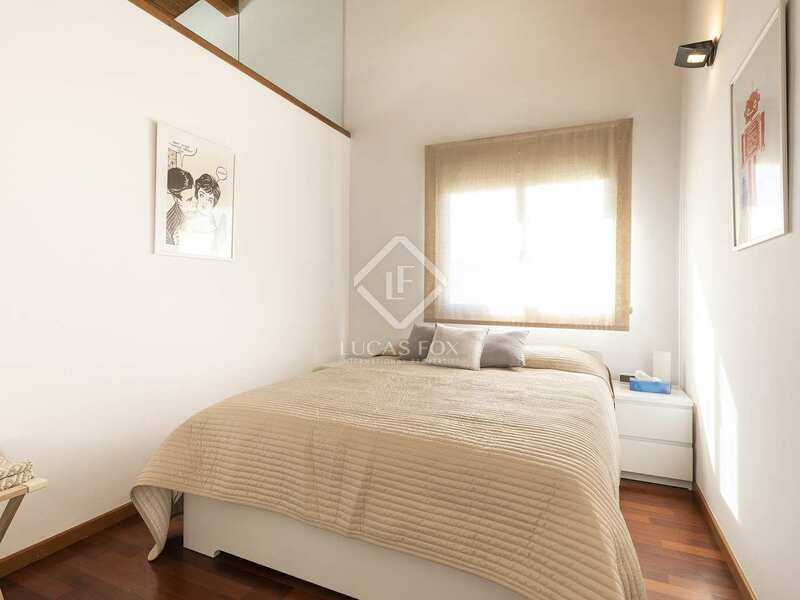 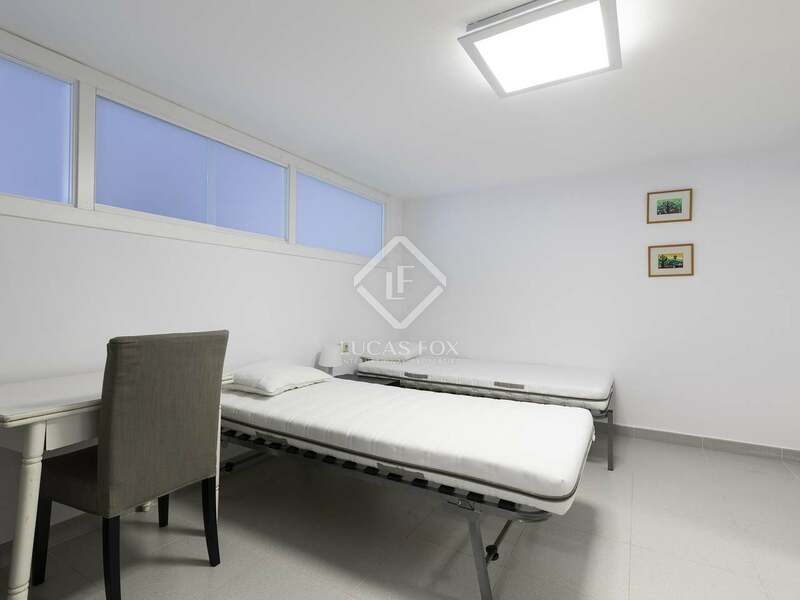 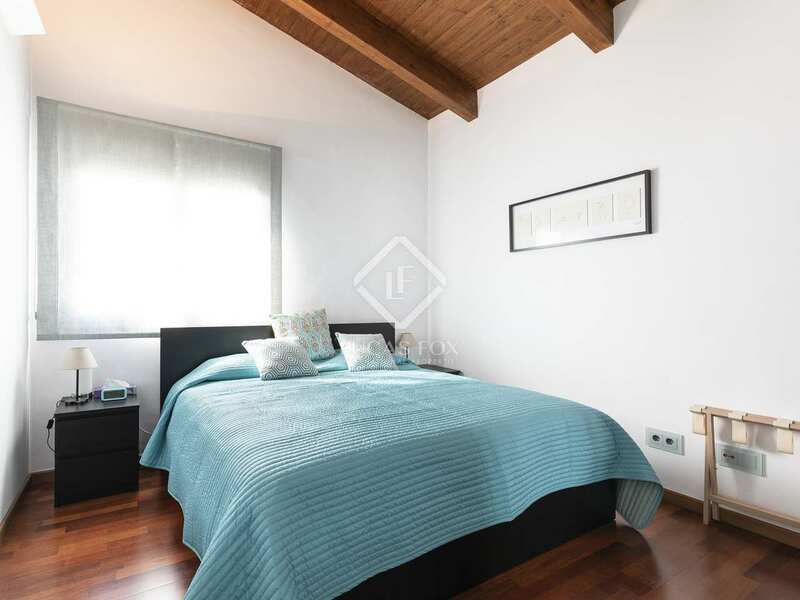 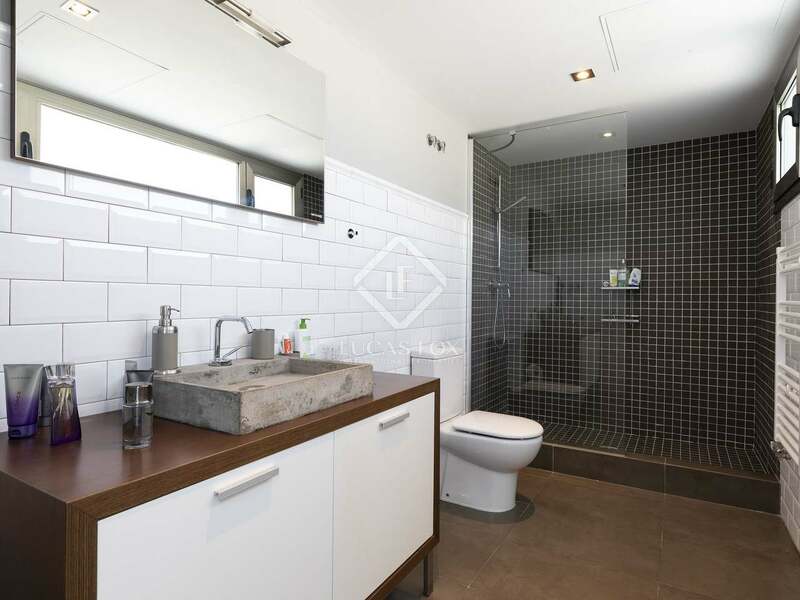 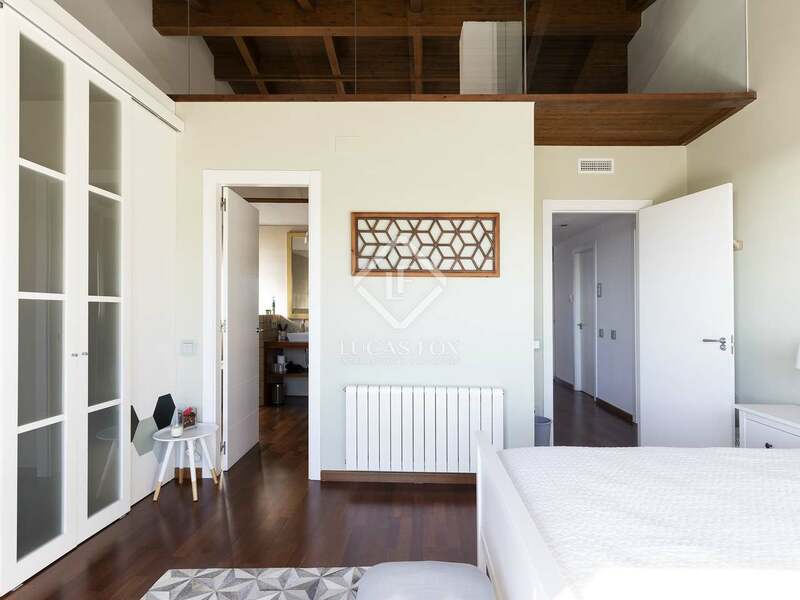 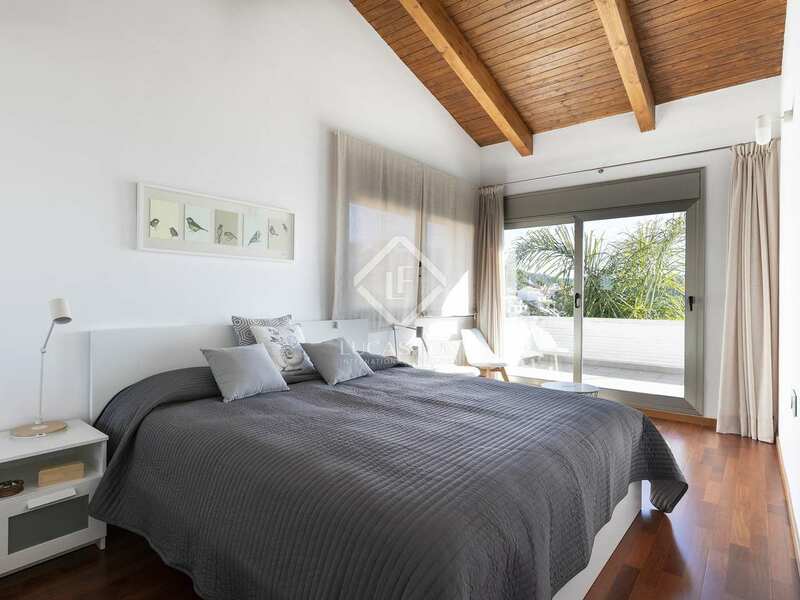 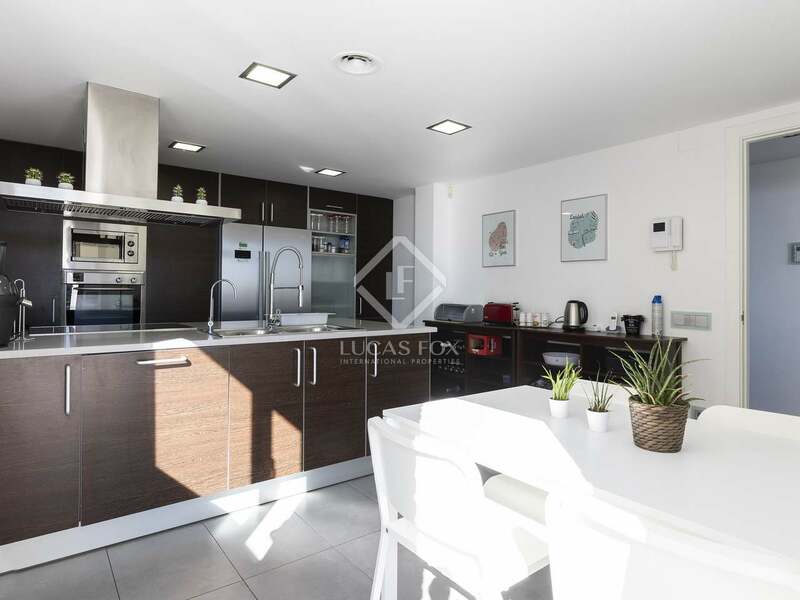 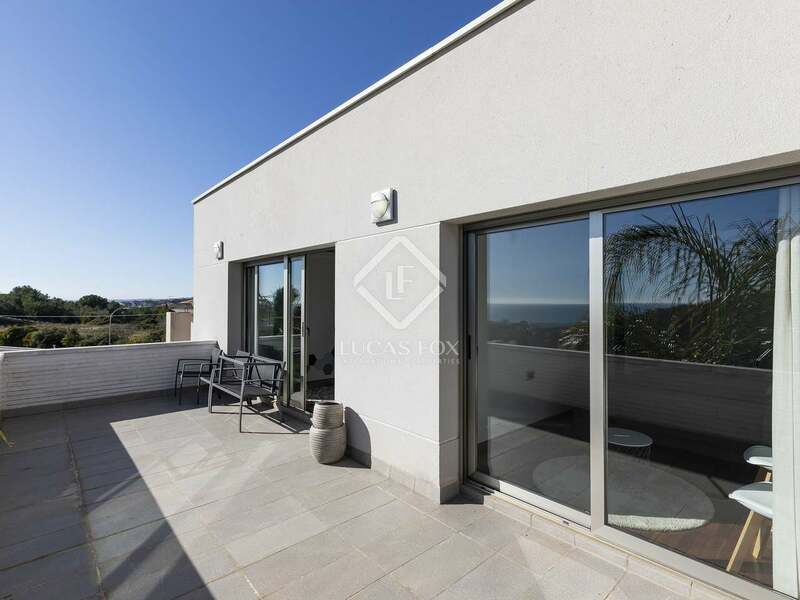 A large landing gives access to 3 double bedrooms and a family bathroom; all the bedrooms have double height wooden ceilings and one has access to a terrace with sea views. 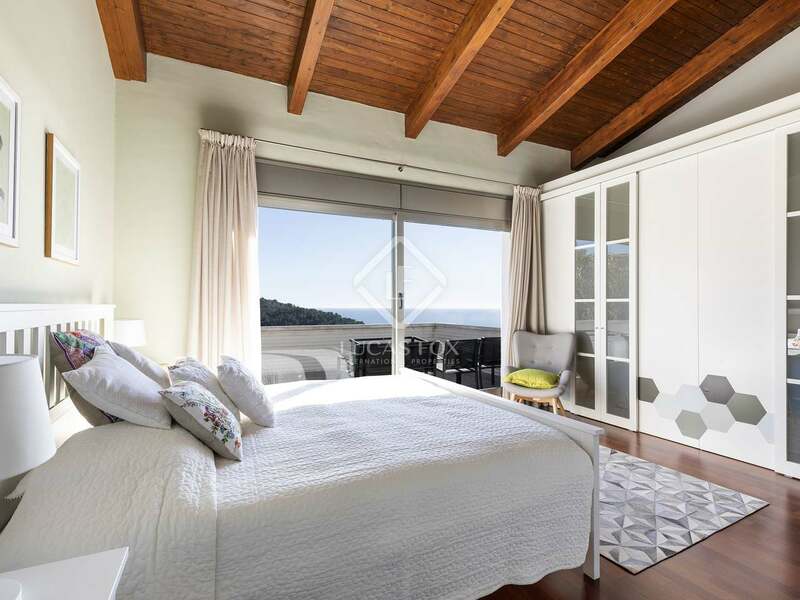 The master bedroom is particularly impressive with access to a large terrace as well as built-in wardrobes and an enormous en-suite bathroom with a double basin, shower and bath. 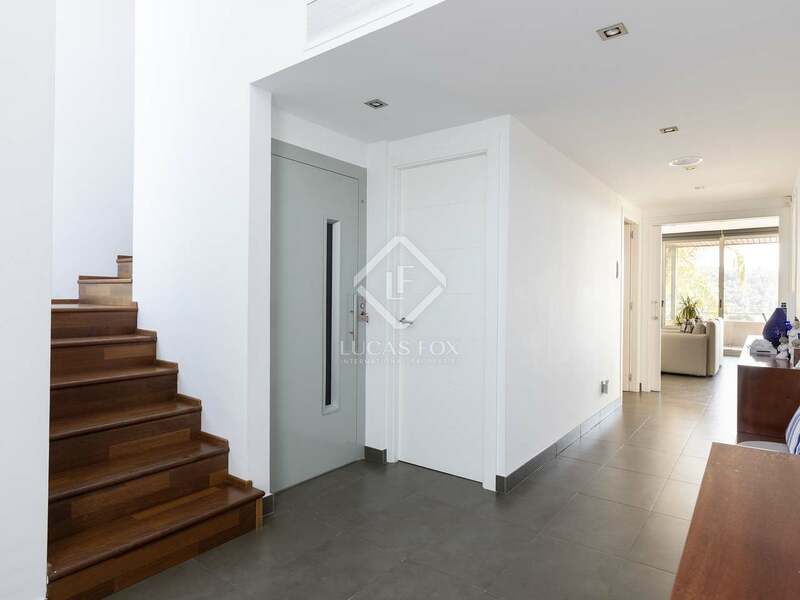 A marble staircase and the lift lead from the entrance hall down to the basement where we find a bathroom, bedroom or office space, laundry room and a very large garage for up to 5 cars and with natural light. 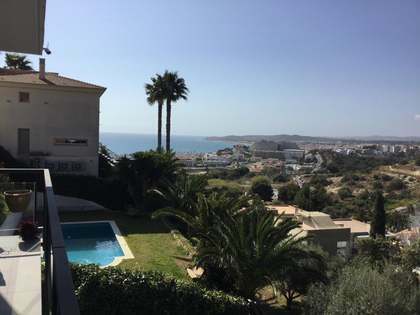 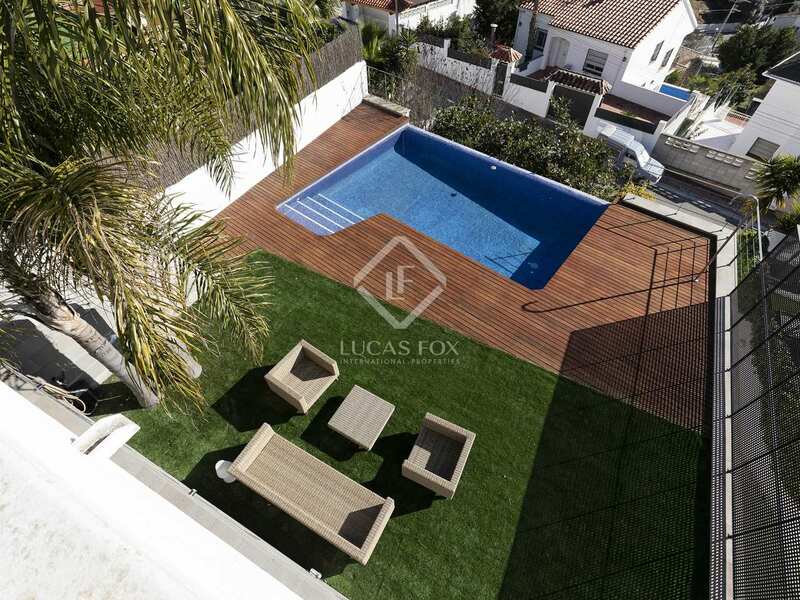 Contact us for further information about this perfect family home for sale in Quintmar. 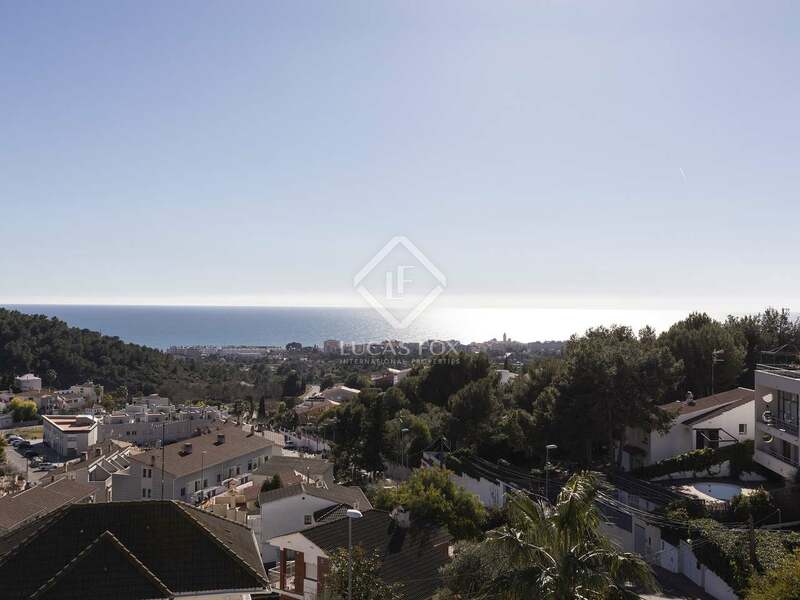 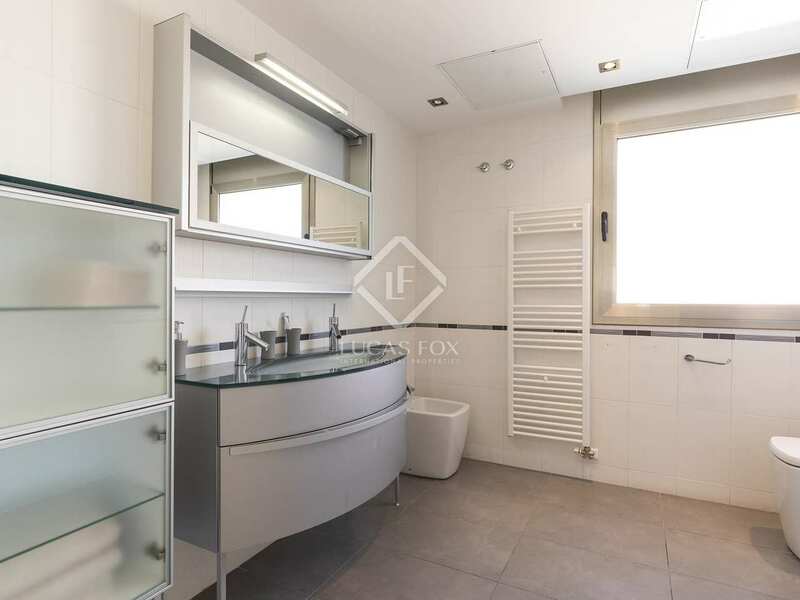 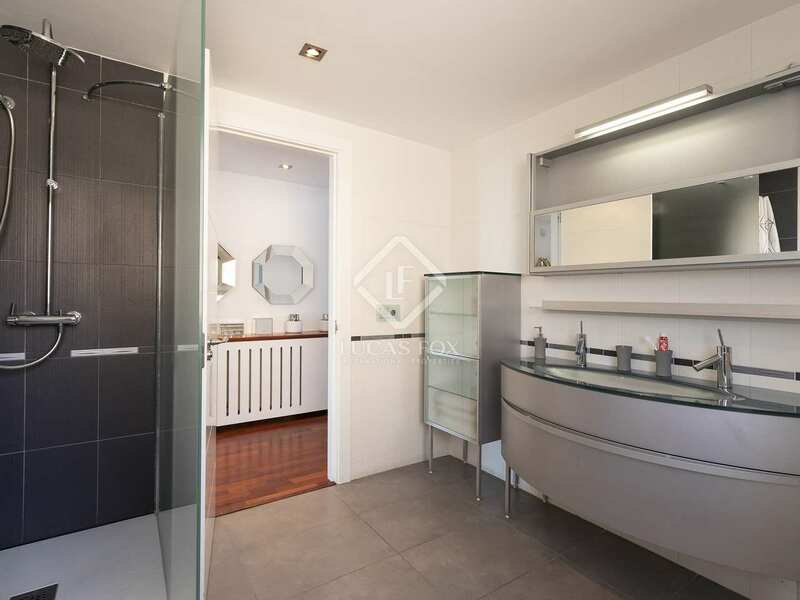 Quintmar is a quiet residential area built in the hills overlooking Sitges and just a 5-minute drive to the town and its beaches. 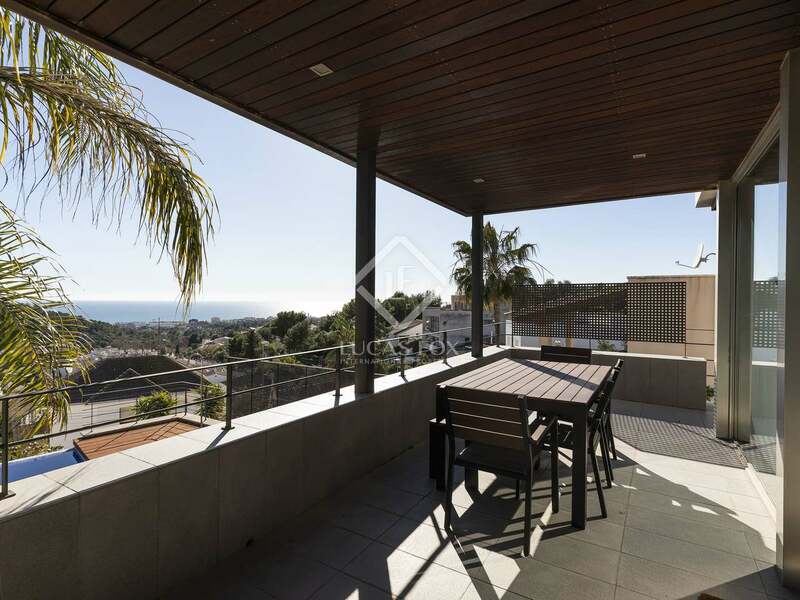 About 40km south west of Barcelona, Sitges is renowned for its Film Festival and Carnival. 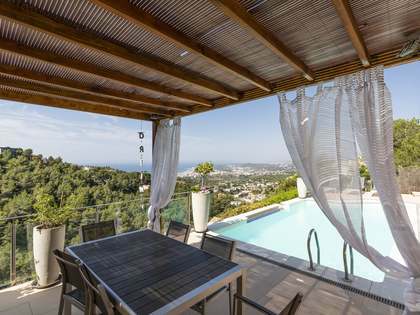 It is in a beautiful setting between the hills of the surrounding Garraf Natural Park and the Mediterranean. 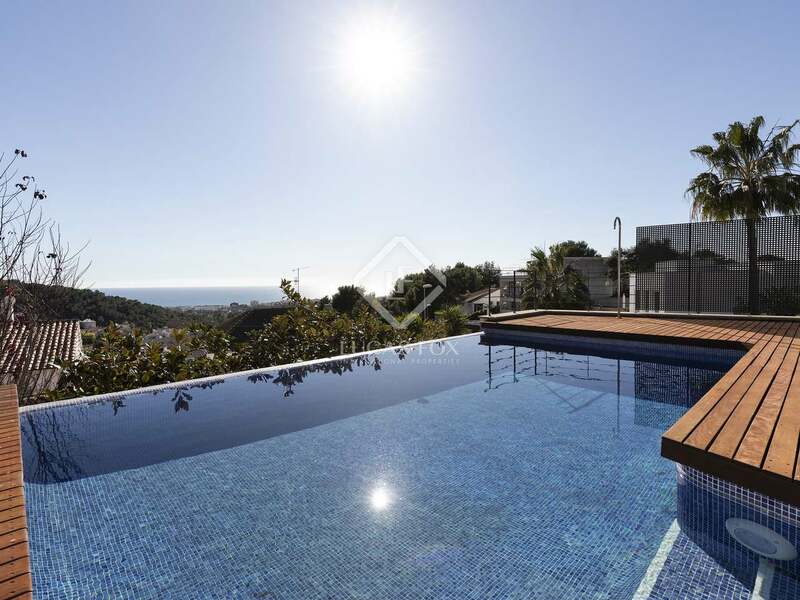 It is well known for its popular beaches, gastronomy, nightlife, golf courses, marinas and historical sites.